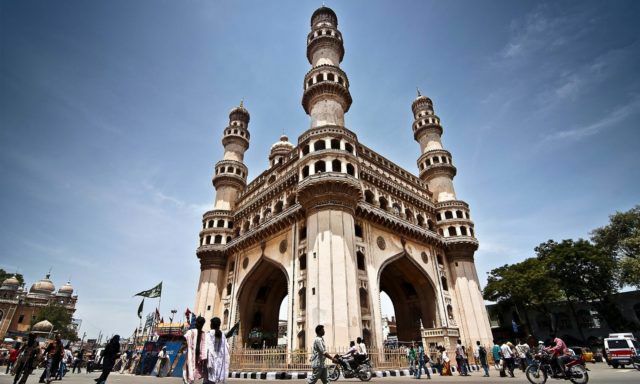 On your plans to travel to India, make sure to take advantage of at least a day or two in Hyderabad, India. Located on the Musi River in the Southern portion of India, Hyderabad has a rich blend of eye-catching architecture spanning across many centuries for shutterbugs as well as great bazaars for those that love to shop. Get a taste of Hyderabad with my top three things to do in Hyderabad, The City of Pearls. 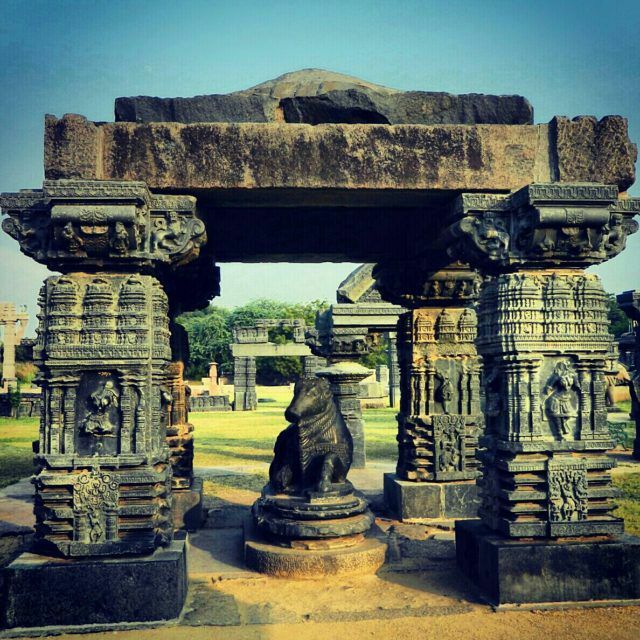 Experience Hyderabad’s past by walking in its 12th century fort, Warangal. This beautiful fort with its four ornate gates was built for the Kakatiya Dynasty. Take your time in exploring the three concentric circle walls. Don’t forget your camera to capture the different hues of sunlight on the gates and ruins. Near the city center is the Charminir, a beautiful must see. Built in 1591, the Charminir is nicknamed the Arc de Triomphe of the East. For those that enjoy a bird’s eye view as well as a bit of adventure, try climbing its fifty-three stairs. Just around the corner, you’ll find number three on this list. When in Hyderabad, do your shopping for souvenirs at the Laad Bazaar. You’ll find many antiques in this large open-air market as well as a myriad of colorful fabrics and tapestries. I would highly recommend an aromatic attar oil as the perfect keepsake for you or one of your loved ones. Pick from scents such as sandalwood, jasmine, and more. If you are looking for a place to rest from your day of exploring that is not only close to the city center and sights, but also the airport and the convention center, choose the Novotel Hyderabad Airport. You will not be disappointed with its location, amenities, and Southern Indian hospitality. If your travels are taking you to India, make sure to put The City of Pearls on your short list. Enjoy Hyderabad!